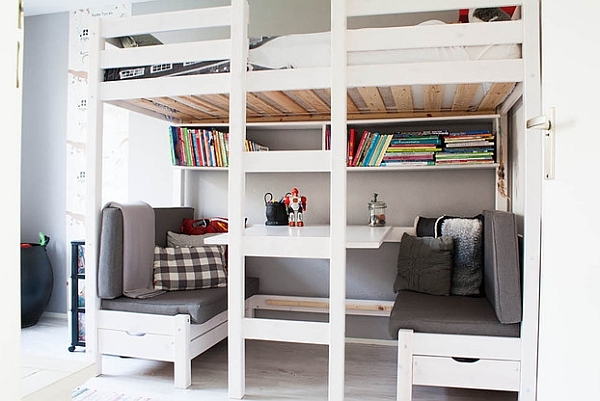 Loft beds and bunk beds add a touch of enigmatic charm to any interior that they grace. 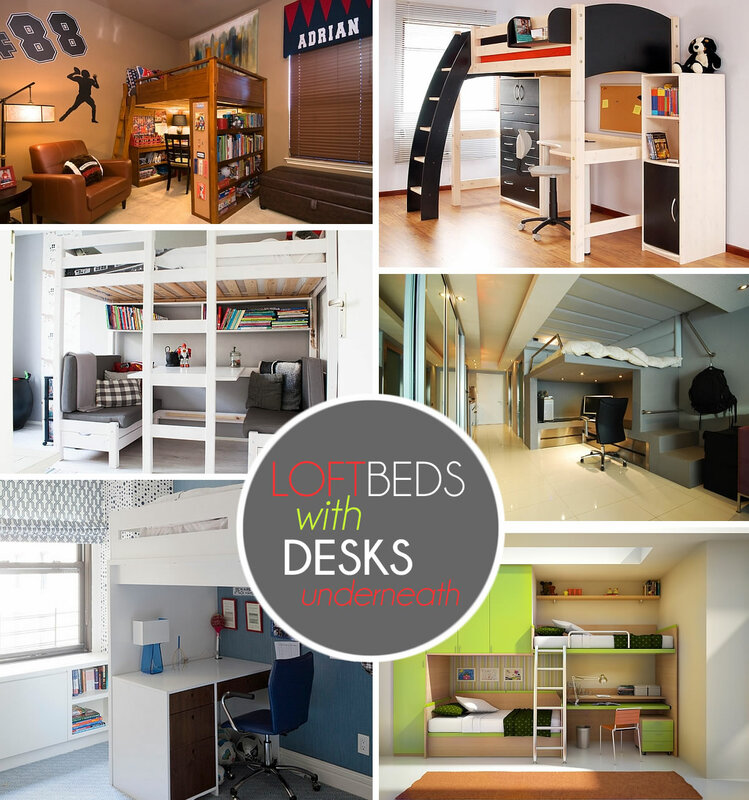 Combining stylish space-conscious designs with cool design solutions that are often crafted to suit the individual needs of your own house, loft beds are available in a multitude of styles and forms. 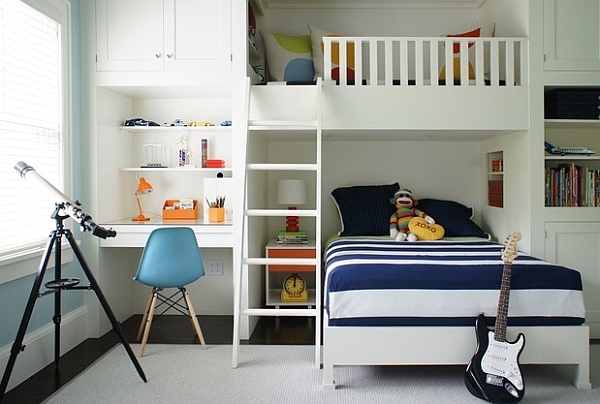 Most of us tend to worry about what constitutes a bunk bed and what makes it a loft bed. 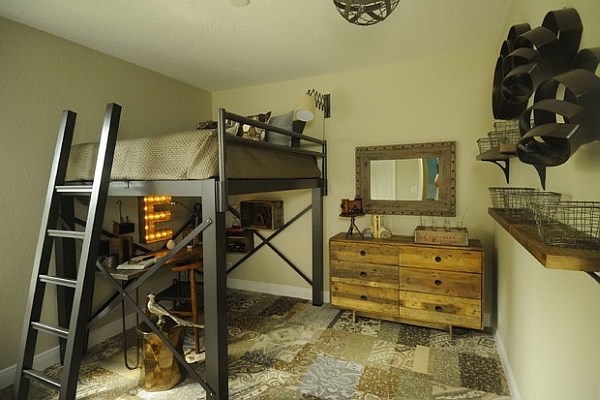 Well, if the space underneath the raised loft bed is occupied by another bed, then it is dubbed a bunk bed. 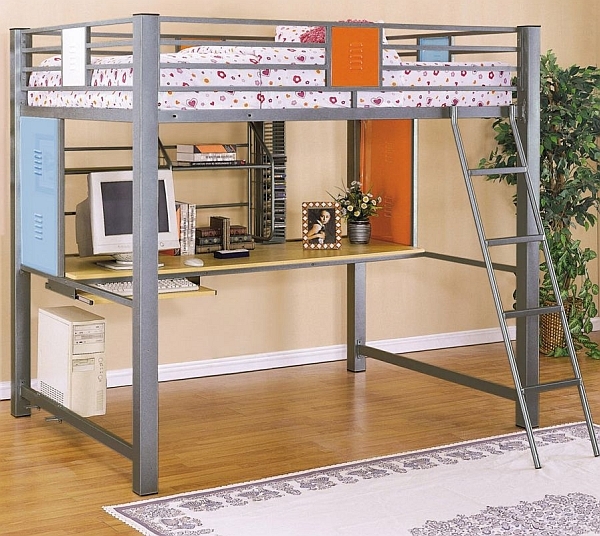 If the lower bunk is used as a work space or for storage units, then it is termed a loft bed. But, do not bother too much about semantics, since the names seem pretty interchangeable in the commercial world. 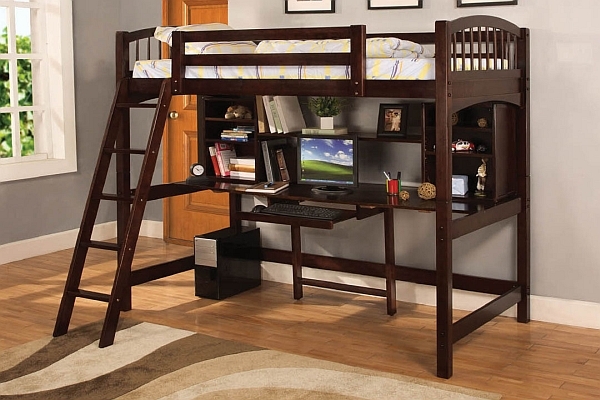 Today we showcase some amazing loft beds (a few of which are also bunk beds) that also feature a desk doubling as a nifty workstation. 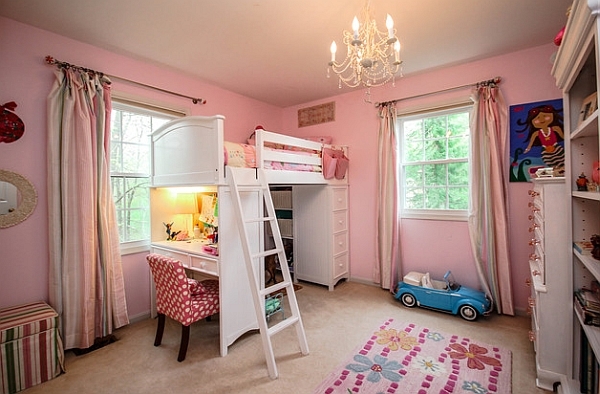 Loft beds with desks underneath are a popular option in the kids’ bedroom. But as you will see, there is no reason why adults cannot take a few hints from these space-savvy designs either! 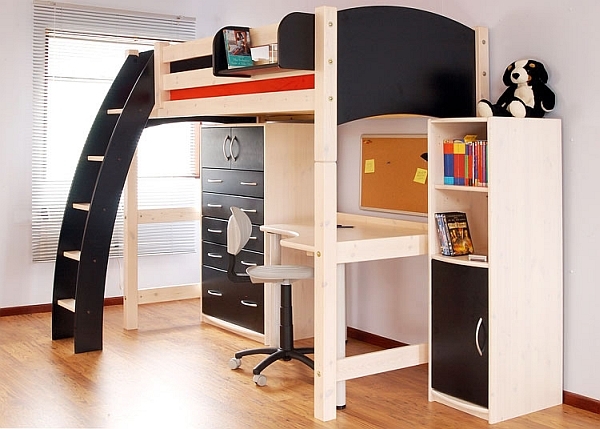 Amazing loft bunk bed with an integrated desk! 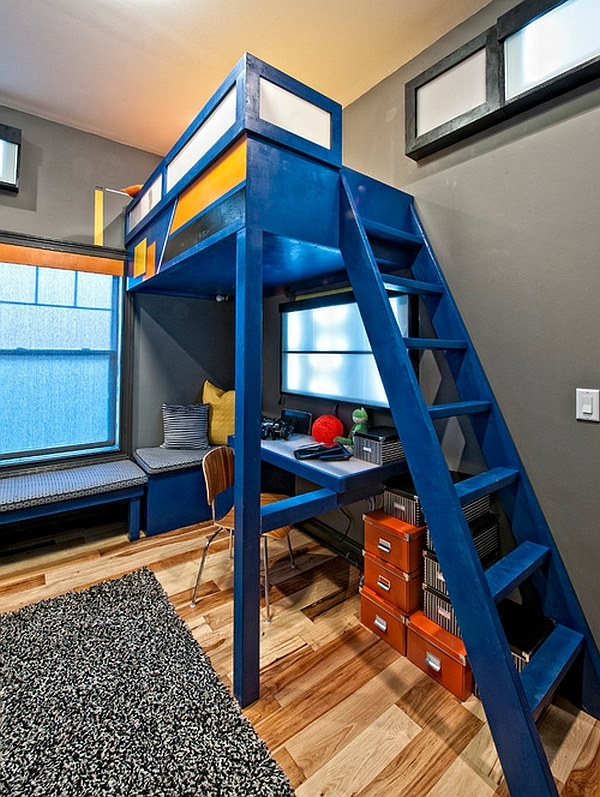 Loft bed that features an entire study room underneath! 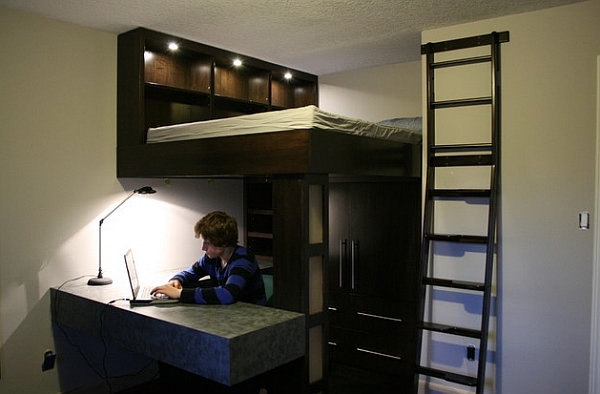 Loft beds bring along with them plenty of advantages. The space-saving feature is an obvious trait that makes them so endearing. 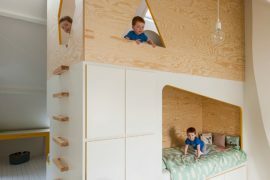 But their playful look often means they are just limited to child and teen bedrooms. 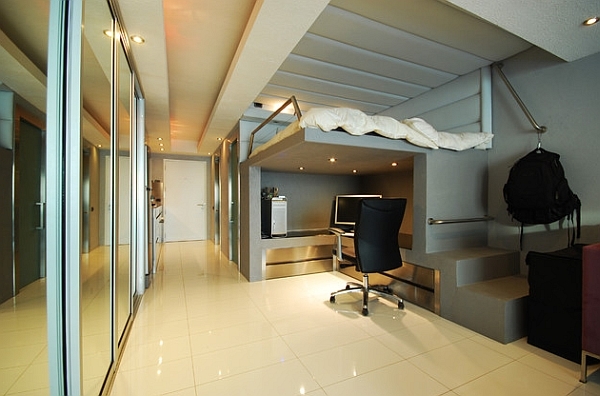 Yet, loft beds with desks underneath are probably a far more effective and efficient addition for the adult bedroom. 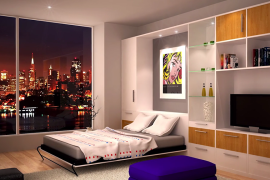 This is especially true if you live in a small studio apartment or a cool bachelor pad that has limited square footage. 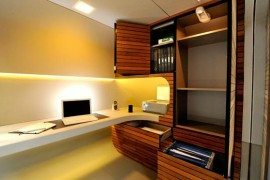 Instead of trying to maximize the available space, you can exploit the vertical space to craft a bedroom that sports a generous home workstation. 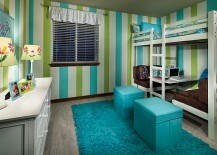 A great work area and conversation nook under the loft bunk bed! 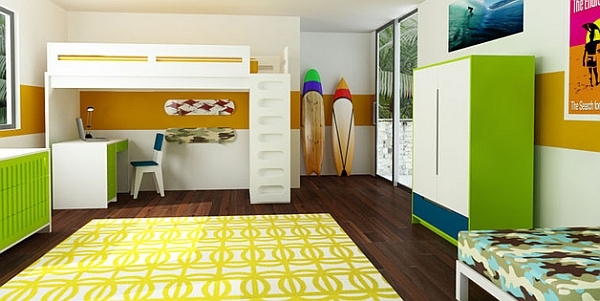 Bunk bed with lower bunk that can switch between a table and a bed! 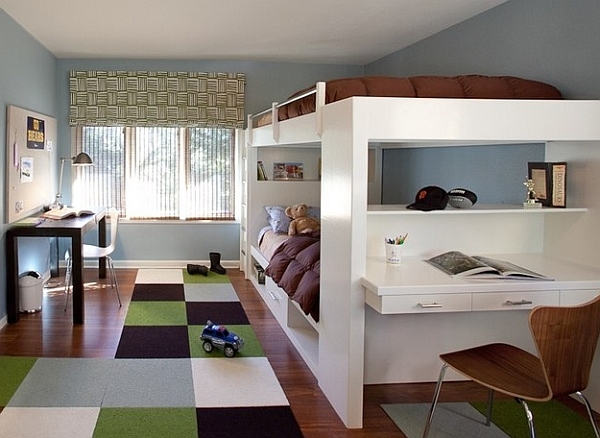 You can even combine a multiple-bunk bed wall with a minimalist desk underneath to maximize the available room. 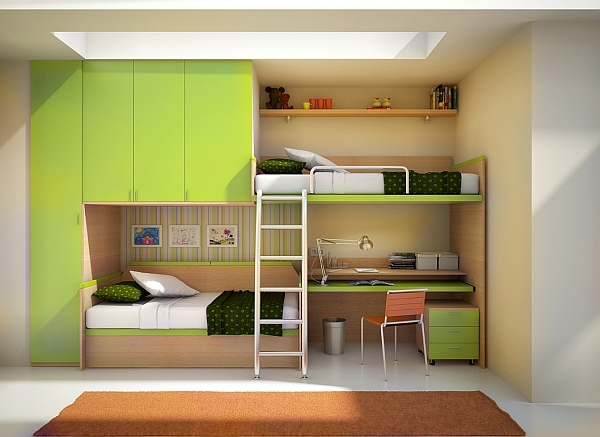 Some of the modern loft bed designs allow you to switch the lower bunk from a cozy bed to a comfy conversation and breakfast nook when needed. 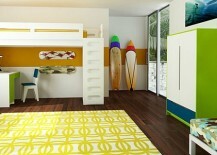 In essence, this one addition can help add a bedroom, small dining area and a home workplace to your compact apartment! 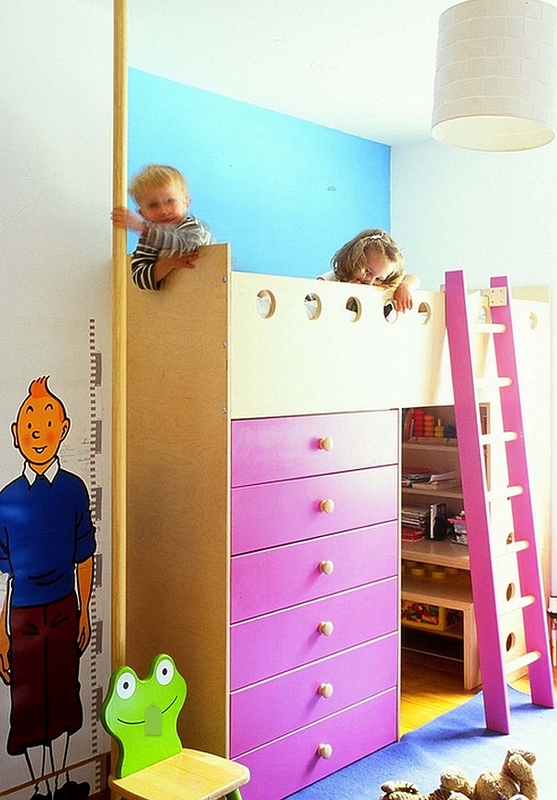 From loft beds with desks for adults, we turn our focus toward some trendy and elegant loft bed designs for the kids’ bedroom. Combining the little one’s study table with the loft is obviously an easier task when compared to a loft bed with a desk in the adult bedroom. The spatial requirements and the dimensions are a lot smaller, making the task far more simple and hassle-free. 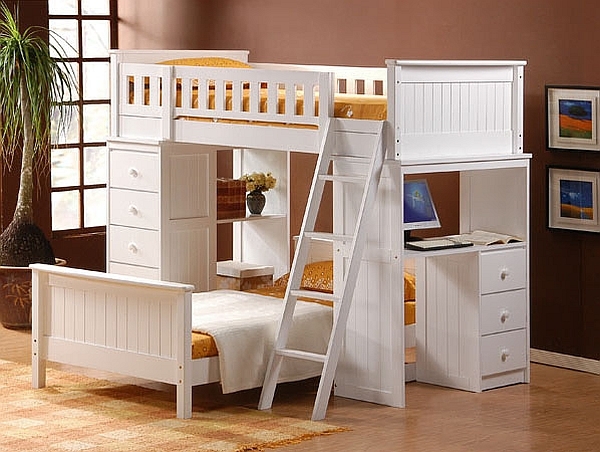 Kids’ loft beds and bunk beds with desks also come in a far wider range of models, and they can be customized with ease. 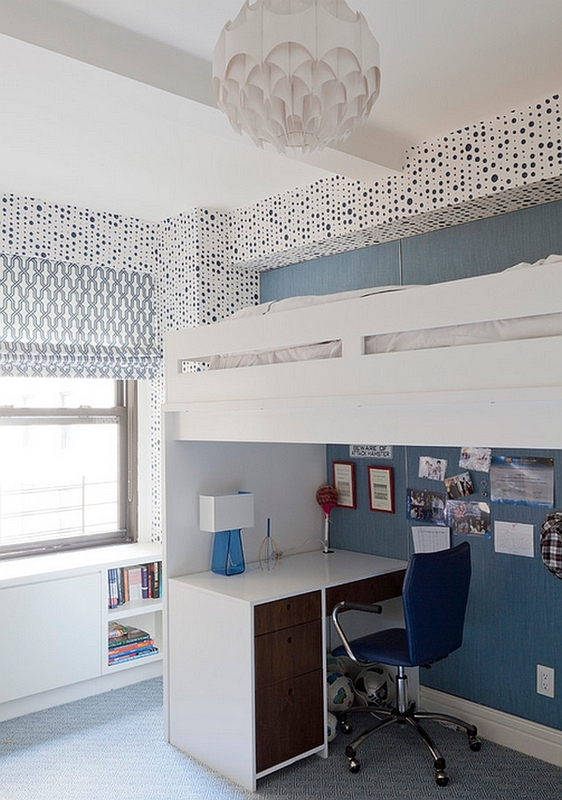 Black and white loft bed has an undeniable charm! 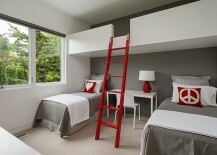 Make sure that the loft bed you pick fits in with the theme of the room. 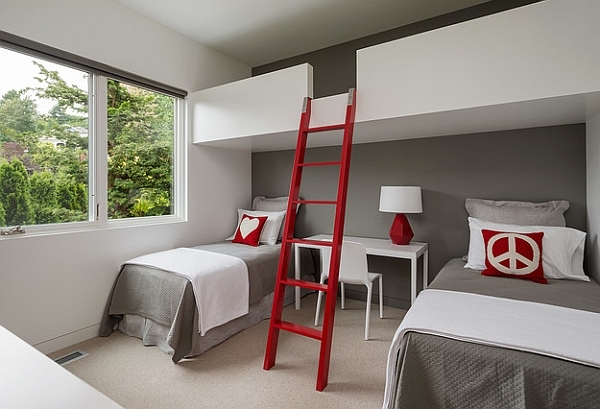 If you are finding that a hard proposition, then simply bring home a white loft bed with ample space underneath and then use a bit of creativity, some paint and an IKEA desk to achieve the look you desire. 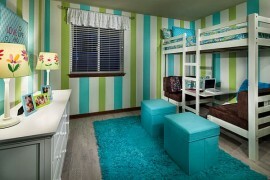 Refreshing yellows and vivacious pinks look great in girls’ bedrooms, while blue is a perpetual favorite with the boys. You can even improvise by adding a hint of red and a bit of boat rope to effortlessly adopt a nautical theme. 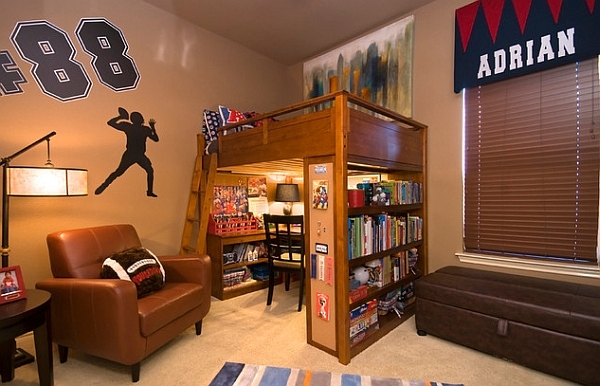 There are plenty of loft beds with computer desks that also come with loads of storage shelves and display cabinets that help in organizing the bedroom better and tucking away all the mess! 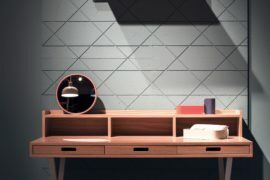 Take advantage of these many options to fashion a truly remarkable bedroom that brings together aesthetics and ergonomics. 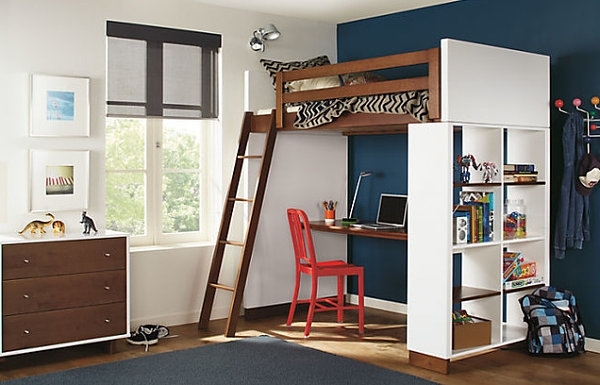 Most importantly, do not shy away from bringing the loft bed or bunk bed with a desk into your grown-up bedroom!